Migrating apps to the cloud can help hasten your organisaiton's modernisation efforts. Businesses are struggling to maintain their huge estate of mission-critical applications, while cloud migration presents yet another headache for IT leaders. Chris Griggs, VP and EMEA GM at Skytap, sheds light on the path forward for enterprise IT based on a recent study conducted by the company. What was the rationale behind carrying out the research? What did you set out to achieve? Cloud computing is now in its second decade. 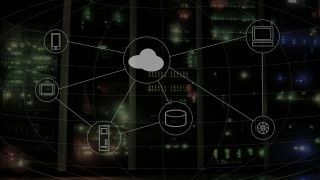 While there is a lot of hype around large-scale public clouds such as AWS and Azure, for many enterprises the path to modernisation of both their technology and teams hinges on their ability to address often decades-old traditional apps that are critical to their business operations. We wanted to understand the challenges enterprises are facing in navigating this journey to bring clarity and specificity to the conversation about digital transformation in the UK, and further afield. So, in partnership with 451 Research, we conducted an expansive study of 450 C-level and VP/Director-level technology leaders in the US, UK and Canada. The findings have indicated that in 2018, organisations’ critical apps are still grounded and the reason for that isn’t all about technology - it’s about people. We’ve been discussing cloud migration for a while now. Why is it taking a long time for businesses to embrace the technology and migrate their apps? The difference we’re seeing now versus years gone by is the fact that businesses see a benefit. They are motivated to leverage cloud to modernise. Businesses need look no further than industries like retail, transportation, and media for proof that market dominance is increasingly determined by the ability to deliver value rapidly and cost-effectively through software. The cloud is a powerful tool to help business achieve that level of agility. In our research, we found that 67% of enterprise tech leaders plan to migrate or modernise at least half their on-premises applications in the next 12-24 months. As a result, nearly two-thirds expect better customer responsiveness and to be more competitive. However, the survey also found at least half of businesses lack of skills to manage their existing applications. A similar number also sees their inability to deliver new features as a current challenge. Clearly, there’s a skills issue at play. How are businesses managing their applications at the moment? Of the 450 IT decision-makers we spoke to for our research, 82% are managing more than 100 applications. Three quarters of enterprises are running at least half of these applications on-premises. And 71% see more than half their on-premises applications as mission-critical to their business. Most enterprise businesses run on software built many years ago. These applications must often be redeveloped to work in the most popular clouds – a process that can cost millions and take years. I’m an advocate of modernising applications by replicating their complex environments in the cloud. This preserves their value and the business investment in them, while also eliminating the greater expense and risk of large refactoring initiatives or wholesale rewrites. Looking specifically at skills, what’s the challenge and how can it be overcome? In teams dominated by generalists, many organisations don’t have enough expertise in migrating or modernising existing applications from on-prem to the cloud. This is resulting in them taking ineffective and more time-consuming approaches to modernising. Essentially, they are their own worst enemies. This is dangerous because enterprises that forego modernisation risk falling short of critical compliance and security standards, jeopardising their customers as well as their business. In-house specialists that can manage change are more important now than they ever have been. They are very much worth the investment. The problem here is that many report having difficulty in finding the right specialists in the marketplace to employ. Enterprises can’t overlook the value in partnering with external experts who can both advise on the most efficient path to change and support the actual implementation of that pathway. Technology leaders must let go of the impulse for “big bang” or “silver bullet” change. Instead of starting over, identify a clear need and then start by using the skills and people you already have. An iterative approach provides teams with space to learn and focuses them on delivering specific change that creates tangible value. You spoke to IT leaders in the UK, US and Canada for your survey. How do British businesses compare to those on the other side of the Atlantic? The study found respondents in the UK, compared with the US and Canada, were experiencing even more acute pain in their modernisation initiatives. More than two-thirds of UK respondents intend to migrate existing applications to the cloud in the next 12-24 months, with business and digital transformation being primary motivators for their change. However, more than half cite “internal resistance to change” as a top three factor holding them back from modernisation, and more than 80% noted IT teams would be “somewhat apprehensive” about a cloud-first strategy. Further complicating the situation, UK technology leaders currently view technological change as having a negative impact because of new skills shortages and cost challenges, and more than half are managing 300 or more applications, most of which are both on-premises and mission-critical. Technological change should be viewed positively, especially when the end results of improved business performance are considered. Changing their approach and being more open to alternative options could help UK businesses to view change with more optimism. What are businesses doing wrong with their cloud strategies? From the responses we’re seeing in our research and the general feedback we get when speaking to customers, we see that businesses are choosing the most difficult path to the cloud. And it’s the enterprises choosing the path of most resistance that are unintentionally creating a self-induced cloud skills gap. Refactoring and rewriting are the two main strategies used to migrate traditional applications to the cloud but there are other ways to modernise your apps without taking such a taxing route. Given all these complications and costs, what’s the best approach to take when migrating to the cloud? What is Skytap’s offering that can help businesses? Application modernisation must be approached holistically, beginning with the infrastructure, progressing to development processes, and then addressing application architecture. The fastest, most cost-effective path to application modernisation is an incremental approach that empowers teams to tackle seemingly insurmountable challenges one step at a time. Skytap Cloud is the only public cloud specifically designed to migrate and modernise traditional enterprise applications. Our Infrastructure, Process, Architecture (IPA) approach offers an incremental route to modernisation that is both realistic and achievable. By using the IPA approach to modernisation, teams are able to evolve at the pace and stage that’s right for their business. Skytap Cloud provides the platform to support traditional applications at each stage of modernisation, from the adoption of cloud infrastructure, to the acceleration of application development and delivery, to incorporation of cloud-native and next-gen technologies.